The European Union Agency for Fundamental Rights (usually known in English as the Fundamental Rights Agency; FRA) is a Vienna-based agency of the European Union inaugurated on 1 March 2007. It was established by Council Regulation (EC) No 168/2007 of 15 February 2007. The FRA is an EU body tasked with "collecting and analysing data on fundamental rights with reference to, in principle, all rights listed in the Charter"; however, it is intended to focus particularly on "the thematic areas within the scope of EU law". Those nine thematic areas are defined by Council Decision No 252/2013/EU of 11 March 2013, establishing a Multiannual Framework for 2013-2017 for the Agency. They are: access to justice; victims of crime; information society; Roma integration; judicial co-operation; rights of the child; discrimination; immigration and integration of migrants; and racism and xenophobia. The FRA's primary methods of operation are surveys, reports, provision of expert assistance to EU bodies, member states, and EU candidate countries and potential candidate countries, and raising awareness about fundamental rights. The FRA is not mandated to intervene in individual cases but rather to investigate broad issues and trends. The FRA was established in 2007 as the successor to the European Monitoring Centre on Racism and Xenophobia (EUMC), which was also based in Vienna. The EUMC's mandate was narrower than that of the FRA, as it was restricted to issues of racism and xenophobia. The EUMC grew from the Commission on Racism and Xenophobia (CRX), established in 1994, and also known as the Kahn Commission. The CRX was transformed into the EUMC in June 1998; officially established by Council Regulation (EC) No 1035/97 of 2 June 1997. Since its inception, the FRA has carried out surveys and published reports which are available online. A full list of publications is given on Publications & resources > Publications. This section discusses reports that have seen significant attention from outside observers. In March 2014, FRA published a major survey on violence against women, based on face-to-face interviews with over 42,000 women from across the 28 Member States of the EU. The survey asked about their experiences of physical, sexual and psychological violence including incidents of intimate partner violence ('domestic violence'). Questions also asked about incidents of stalking, sexual harassment and online harassment as well as their experience of violence in childhood. 33% had childhood experiences of physical or sexual violence at the hands of an adult. high levels of discrimination were also mentioned by Sub-Saharan Africans (41%) and North Africans (36%). A second round of the survey (EU-MIDIS II) is currently underway, and the results will be published in 2016. This will collect comparable data, and assess the impact of national anti-discrimination and equality legislation and policies in the EU. In 2013, FRA conducted an online survey to identify how lesbian, gay, bisexual and transgender (LGBT) people living in the European Union experience the fulfilment of their fundamental rights. This followed a 2009 report on homophobia and discrimination on grounds of sexual orientation or gender identity which identified the need for comparative data on this issue. The results reflect the experiences of more than 93,000 individuals who completed the online survey across Europe. The aim was to support the development of more effective laws and policies to fight discrimination, violence and harassment, improving equal treatment across society. More than 1/4 of LGBT people who answered the survey had been attacked or threatened with violence in the last five years, while more than half of these did not report the incident. The online survey methodology was chosen to ensure the anonymity of ‘hard-to-reach’ or ‘closeted’ LGBT populations, to encourage reporting of sensitive or negative experiences, such as criminal victimisation, and eliminate bias, which could have been introduced by telephone or face-to-face interview approaches. Multiple responses were discouraged through the length (approximately 30 minutes) and complexity of the survey, while the input process in the different countries was closely monitored for falsifications. The results are not intended to be representative of all LGBT people in the EU, but provide the largest collection of empirical evidence on the experiences of LGBT people in Europe to date. Data about the perceptions of discrimination on grounds of sexual orientation or gender identity of the general public was not included in the survey, as it is already collected by Eurobarometer. The analysis of the results in the EU LGBT survey – Main results report compares some Eurobarometer data with the EU LGBT survey results. The Agency has a multi-annual Roma programme to allow it "to make regular reports on progress made and provide evidence based advice to the EU institutions and Member States based on data systematically collected across the EU". Data from the 2011 Roma survey is available via an online data explorer tool. EUMC published reports are available from the website here  of the FRA, the EUMC successor agency. A selection is given below. In 2005, the EUMC published a working definition of antisemitism, whose stated purpose was to "provide a guide for identifying incidents, collecting data and supporting the implementation and enforcement of legislation dealing with antisemitism." In November 2013 the definition was removed from the organisation's website in 'a clear-out of non-official documents'. A spokesperson stated that the document had never been viewed as a valid definition and that "We are not aware of any official definition". The working definition stated: "Antisemitism is a certain perception of Jews, which may be expressed as hatred toward Jews. Rhetorical and physical manifestations of antisemitism are directed toward Jewish or non-Jewish individuals and/or their property, toward Jewish community institutions and religious facilities." Brian Klug argues that this definition proscribed legitimate criticism of the human rights record of the Israeli Government by attempting to bring criticism of Israel into the category of antisemitism, and does not sufficiently distinguish between criticism of Israeli actions and criticism of Zionism as a political ideology, on the one hand, and racially based violence towards, discrimination against, or abuse of, Jews. Sociologist Paul Igansky states that parallels between Israeli policy and those of the Nazis are "arguably not intrinsically antisemitic", and that the context in which they are made is critical. The working definition has been described by David Hirsh as "part of the terrain on which political struggles are conducted by, amongst others, academics". The Report of the All-Party Parliamentary Inquiry into Antisemitism: Government Response 29 March 2007 noted that "from the EUMC’s evidence to the Committee", the "definition is in fact a work in progress and has not been recommended to states for adoption." In 2003 a report labeled 'Manifestations of antisemitism in the EU 2002 – 2003' was published. It detailed a rise in attacks targeting Jewish businesses, synagogues, cemeteries and individuals. The countries with the most significant number of attacks were Belgium, France, Germany, the Netherlands and the UK. It is the only report made by the EUMC on antisemitism. The largest monitoring project ever to be commissioned regarding Islamophobia was undertaken following 9/11 by the European Monitoring Centre on Racism and Xenophobia (EUMC). From a total of 75 reports, 15 from each member state, a synthesis report, entitled "Summary report on Islamophobia in the EU after 11 September 2001", was published in May 2002. The report highlighted occasions in which citizens abused and sometimes violently attacked Muslims. Discrimination included verbal abuse, indiscriminately accusing Muslims of responsibility for the attacks, removing women's hijab, spitting, using the name "Usama" as a pejorative epithet, and assaults. The report concluded that "a greater receptivity towards anti-Muslim and other xenophobic ideas and sentiments has, and may well continue, to become more tolerated." The need for a new human rights institution was questioned given that human rights policy was a principal concern of the Council of Europe (CoE), of which all EU member states were also members. In 2007 the British Conservative MEP Syed Kamall said: "The Fundamental Rights Agency will take £20m (30m euros) of taxpayers' money and use it to advance a partisan agenda with little accountability to anyone". In 2010 the German newspaper Die Welt reported that the centre-right French politician Pierre Lellouche, then EU minister in the Sarkozy government, questioned "the added value" of the FRA when the Council of Europe already took care of human rights. A Resolution adopted in September 2009, in which the EP condemned a "Law on the Protection of Minors", which was then under discussion in Lithuania, as "homophobic" and requested the FRA to issue a legal opinion on whether the draft law was compatible with the EU Charter of Fundamental Rights. The Lithuanian Parliament, however, responded by adopting a Resolution that condemned the EP's Resolution as an "illegal act" (pointing to the fact that the FRA explicitly has no mandate to examine the legislation adopted by Member States) and requesting the Lithuanian Government to take legal action against the EP before the European Court of Justice. ↑ "Proposal for a Council Regulation establishing a European Union Agency for Fundamental Rights" (PDF). European Commission. Retrieved 23 July 2010. 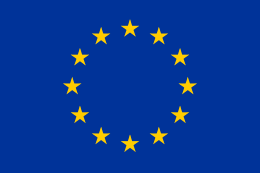 ↑ "The European Union Agency for Fundamental Rights". European Commission. Retrieved 28 January 2015. ↑ "Violence against women: an EU-wide survey. Main results report". European Union Agency for Fundamental Rights. Retrieved 25 February 2015. ↑ "Report reveals 'extensive' violence against women in EU". The Guardian. Retrieved 5 March 2014. ↑ "Violence against women: One-third of EU women affected – survey". BBC News. Retrieved 5 March 2014. ↑ "EU MIDIS Main results report". European Union Agency for Fundamental Rights. Retrieved 10 March 2015. ↑ "EU MIDIS: FRA survey sheds new light on extent of racism in the EU". Regional Centre for Minorities. Retrieved 10 March 2015. ↑ "Diskriminierung in der EU ist "gravierendes Problem"". Kleine Zeitung. Retrieved 1 August 2012. ↑ "Los gitanos, la minoría más discriminada en Europa, por encima de árabes y judíos". El Mundo. Retrieved 9 April 2010. ↑ "EU-MIDIS II: European Union minorities and discrimination survey". European Union Agency for Fundamental Rights. Retrieved 10 March 2015. ↑ "Homophobia and Discrimination on Grounds of Sexual Orientation in the EU Member States Part I – Legal Analysis". European Union Agency for Fundamental Rights. Retrieved 24 March 2015. ↑ "LGBT Discrimination In Europe: Most Gay People Afraid To Hold Hands In Public, Survey Says". Huffington Post. Retrieved 24 March 2015. ↑ "EU LGBT survey: Poll on homophobia sparks concern". BBC. Retrieved 25 March 2015. ↑ "Fear, isolation and discrimination common in Europe's LGBT community". RTE. Retrieved 24 March 2015. 1 2 3 "EU LGBT Survey Technical Report and Questions & answers on LGBT survey methodology". European Union Agency for Fundamental Rights. Retrieved 24 March 2015. ↑ "Publications | European Union Agency for Fundamental Rights". Fra.europa.eu. 2005-07-07. Retrieved 2016-02-17. ↑ "SWC to EU Baroness Ashton: "Return Anti-Semitism Definition Document to EU Fundamental Rights Agency Website" | Simon Wiesenthal Center". Wiesenthal.com. 2013-11-06. Retrieved 2016-02-17. ↑ "EU drops its 'working definition' of anti-Semitism". Times of Israel. Retrieved 2014-01-24. ↑ Klug, Brian (March 2005). "Is Europe a lost cause? The European debate on antisemitism and the Middle East conflict". Patterns of Prejudice. 39 (1): 46–59. doi:10.1080/00313220500045253. Retrieved 24 July 2010. ↑ "Manifestations of Antisemitism in the EU 2002-2003" (PDF). European Monitoring Centre on Racism and Xenophobia. Retrieved 24 July 2010. 1 2 Christopher Allen; Jørgen S. Nielsen (May 2002). "Summary Report on Islamophobia in the EU after 11 September 2001" (PDF). Vienna: European Monitoring Centre on Racism and Xenophobia. Retrieved 24 July 2010. ↑ "Europe | EU gets fundamental rights agency". BBC News. 2007-03-01. Retrieved 2016-02-17. ↑ "Immer mehr Agenturen: Die verrückte Behördenschwemme in der EU - DIE WELT". Welt.de. 1970-01-01. Retrieved 2016-02-17. ↑ Phillips, Leigh (2009-09-17). "EU parliament condemns Lithuanian anti-gay law". EUobserver. Retrieved 2009-09-18. ↑ "The controversial Lithuanian Law on Protection of Minors – Lithuanian Parliament v. European Parliament | The Lithuania TribuneThe Lithuania Tribune". Lithuaniatribune.com. 2009-11-11. Retrieved 2016-02-17.